Description: Bring about the apocalypse on the battlefield just like Kezeroth The World Ender. 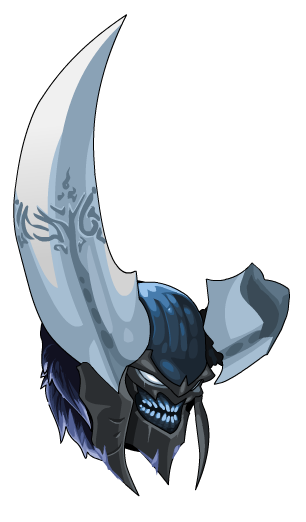 This helm is for those who dream about the destruction of Lore but don't have the look to intimidate the people. Lady of the Woods (AC). Lady of the Woods (Legend). Lord of the Forest (AC). Lord of the Forest (Legend).